This costume is not that much of an outfit, but more a makeup look. Something I was inspired to do not only because I love mermaids, but also since we were watching Harry Potter and Goblet of Fire on the weekend and the merpeople made me think of this. Not an original idea, but a fun one still. 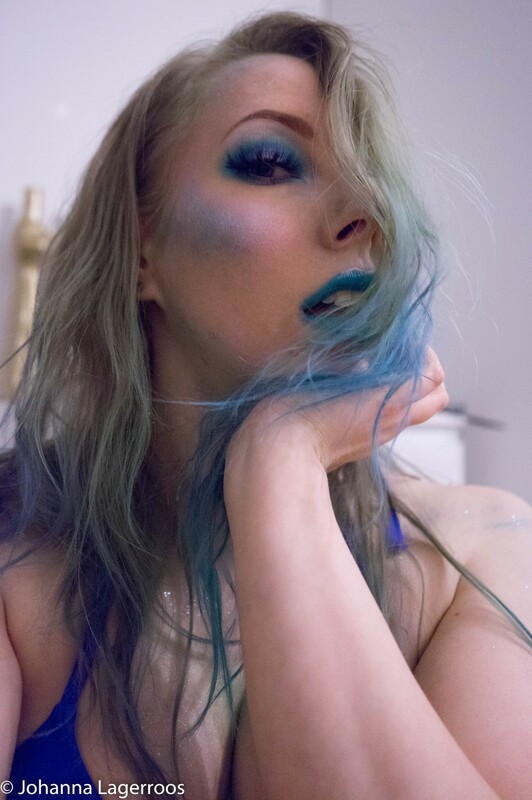 And rather than a cute little mermaid, I tried to go a bit more sultry with it. More siren-like. Editing these pics, I came up with few ideas on how to maybe take this into the next level in the future, but more about those if I do a 2.0 of this some day. Little details about this look: I used xoBeauty faux mink lashes in style Fantasy. 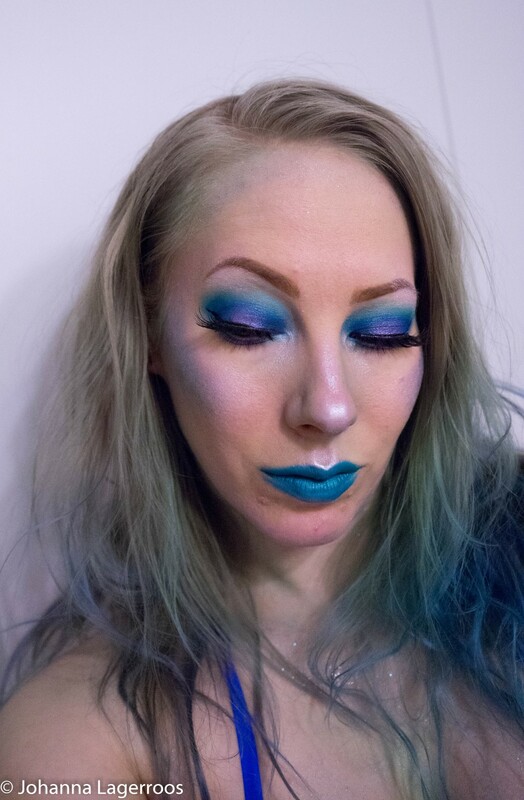 The eye look was done solely with the Slush palette by September Rose Cosmetics - which is also my lip topper over a Makeup Revolution lipstick. I used various glitters, pigments and highlighters to create a bit more unnatural glow on my face, by NYX Cosmetics and Makeup Revolution. The outfit here is only a bikini top and camo leggings, but in case I would go as a siren, I would either get leggings that would resemble more of a mermaid tail - or even go with a long, narrow skirt. I would also probably do bit more intense body painting than I did here, but my main focus was the face here. What do you think about the makeup look? Let me know in the comments! In today's post, you will see something bit related to this look. Can you guess what that could be? Also, I planned again some of looks coming later this month as I wasn't really into the ones I had originally in mind - but now I'm kind of hyped about them again. And I'm hoping they are a bit more original now than they would've been. At least I haven't come across similar ideas lately so that is a good sign to me. 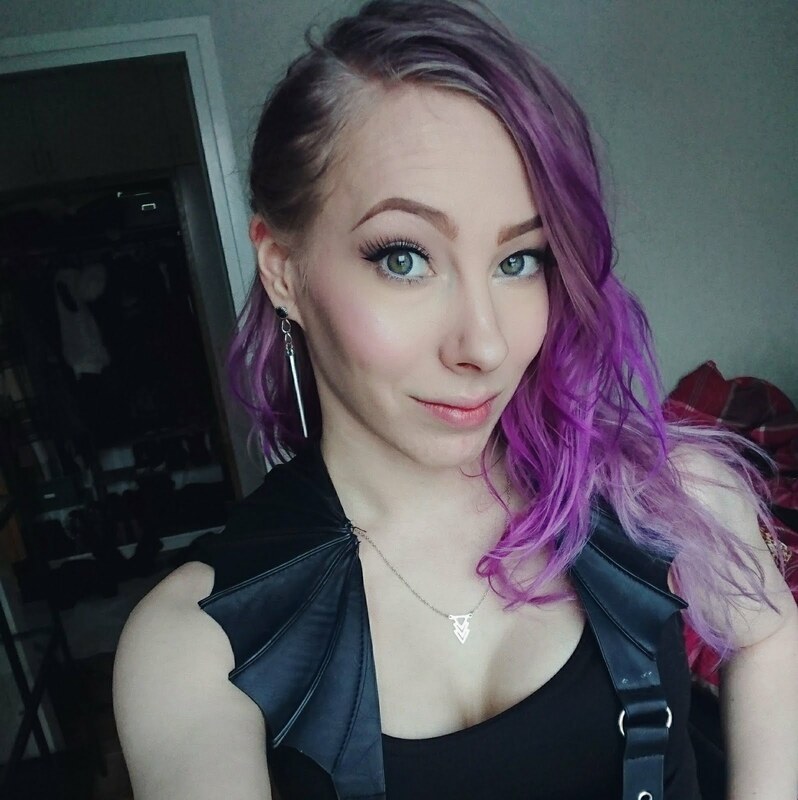 I'll see you tomorrow in my next post, and in the meantime, you can follow me on Instagram for more content!